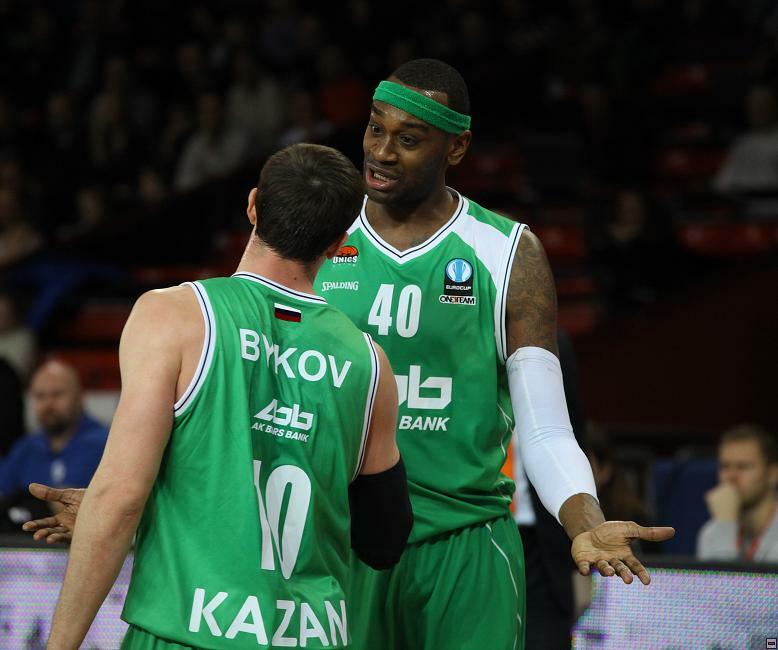 Unics Kazan held off CEZ Basketball Nymburk 79-84 to clinch a berth in the Eurocup Eighthfinals. 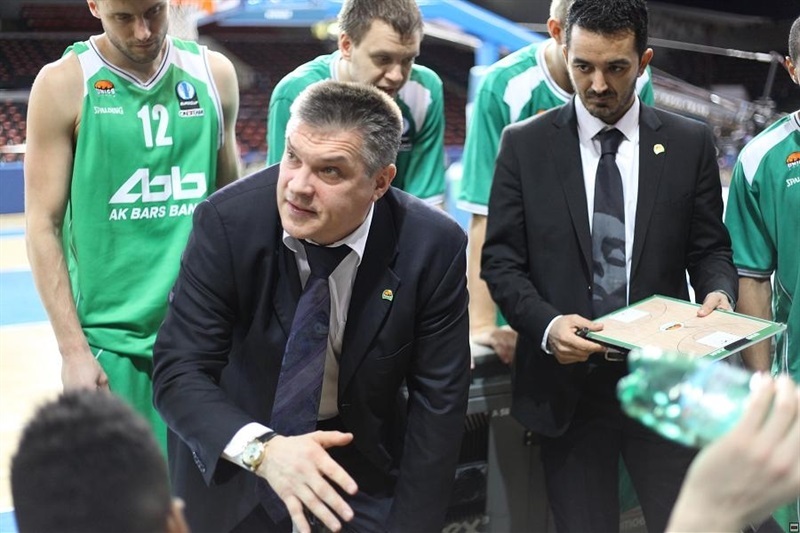 Unics improved to 4-2 in Last 32 Group G, while eliminating the Czech champs, who dropped to 2-4. 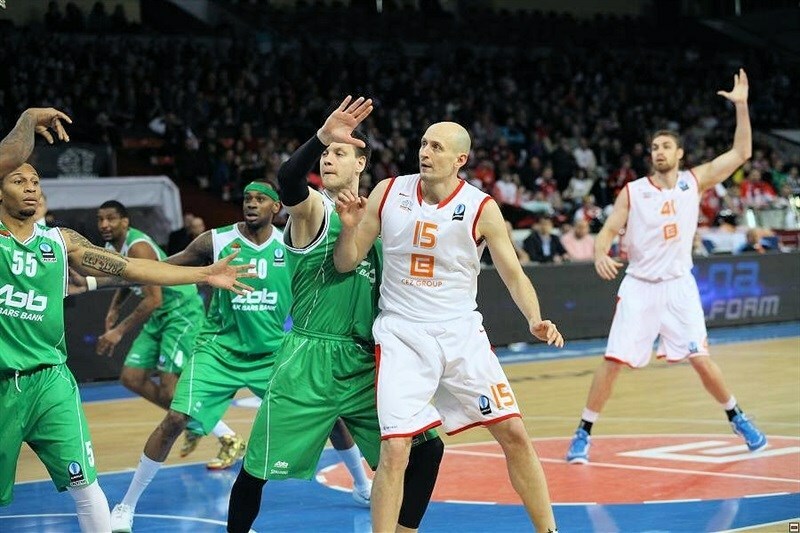 Unics will have to wait till after the group’s other Round 6 game concludes to know where it finished in the standings. 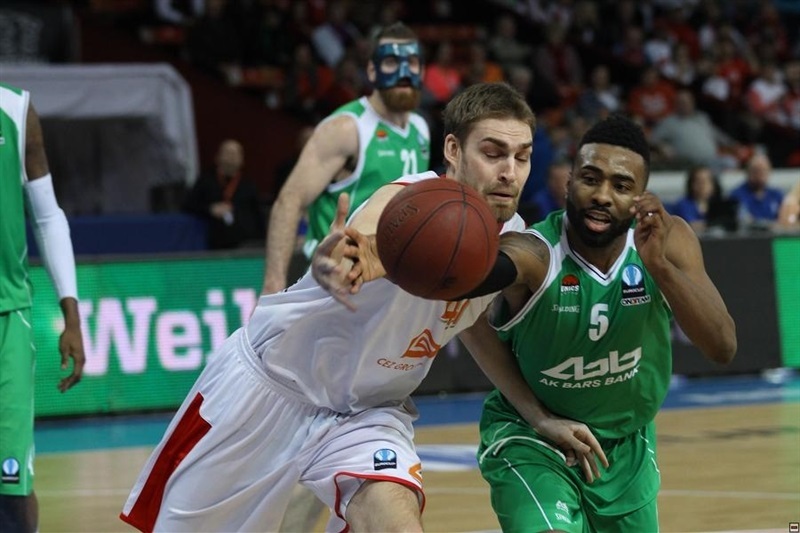 Keith Langford led the Unics attack with 24 points, while D’Or Fischer scored 17. James White totaled 10 points and 8 rebounds, Rolands Freimanis added 10 points and Curtis Jerrells recorded 7 points – including 2 late free throws to ice the game – and 7 assists. 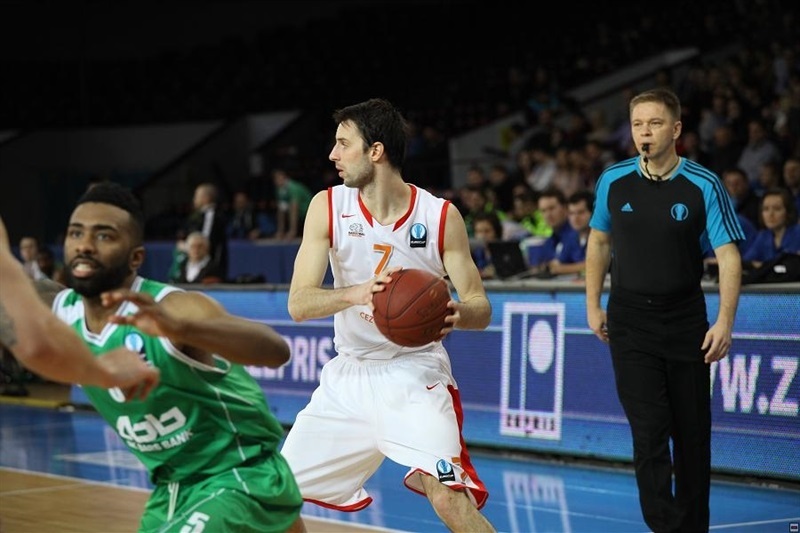 Darius Washington paced Nymburk with 14 points and 9 assists. Tre Simmons also scored 14, Petr Benda posted 12 points and 9 rebounds and Christian Burns netted 12 points. 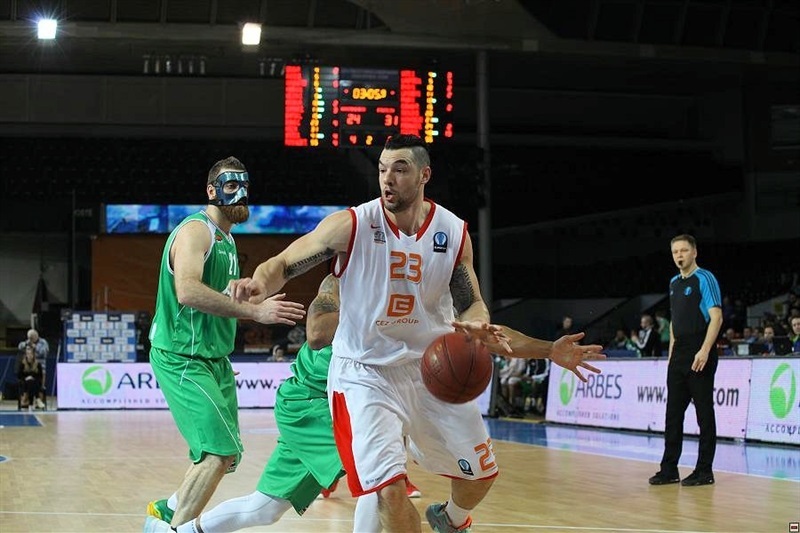 Unics led most of the game, but Nymburk played hard and did not give up till the final buzzer. Langford and Fischer scored the game’s first two baskets for Unics, but Garrett Stutz kept Nymburk close. The visitors looked to pull away as Langford scored 5 and White hit a three to cap a 2-13 charge that made it 8-19. Back-to-back threes by Washington and Simmons revived Nymburk, but Petr Gubanov made it 16-21 through 10 minutes. Tomas Pomikalek twice narrowed the gap to 3 and Nymburk kept it close. It was 24-27 after a Pavel Houska jumper midway through the second quarter. Simmons hit a second triple and Petr Benda added 2 free throws to cap a 7-0 Nymburk run to tie the game at 31-31. Unics responded with 7 unanswered points - a Langford triple ended the half – as the visitors took a 31-38 lead at the break. Langford twice pushed the lead to 9 early in the second half. Simmons hit from downtown to make it 40-44, but Kostas Kaimakoglou’s three-pointer re-established Unics’s 9-point margin. After free throws by Fischer and a jumper from White, the difference was double figures, 42-55. Lubos Barton and Jiri Welsch each scored their first points to spark the hosts, but White left the visitors on top 49-58 through three quarters. Stutz’s basket-plus-foul narrowed the gap, but it was 10 after a three-point play by White. A Freimanis triple made it 58-71 with six minutes remaining. 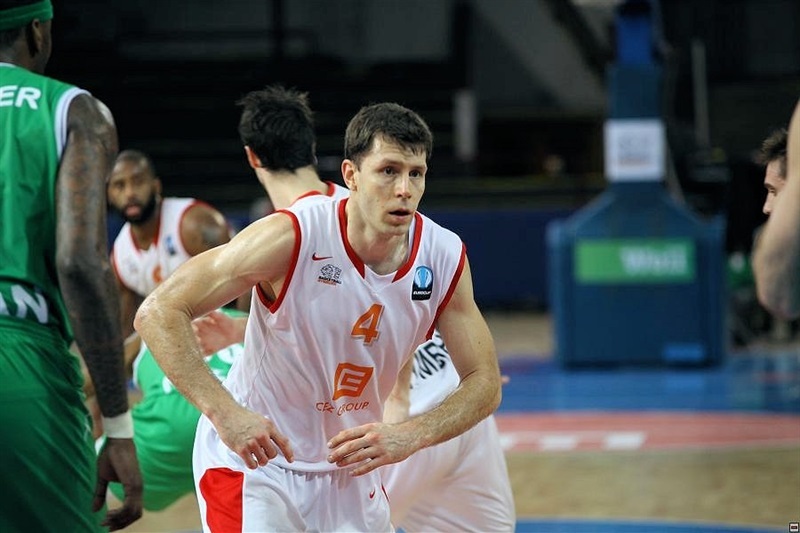 Washington scored twice – including a basket-plus-foul as Nymburk stormed back to within 70-74. 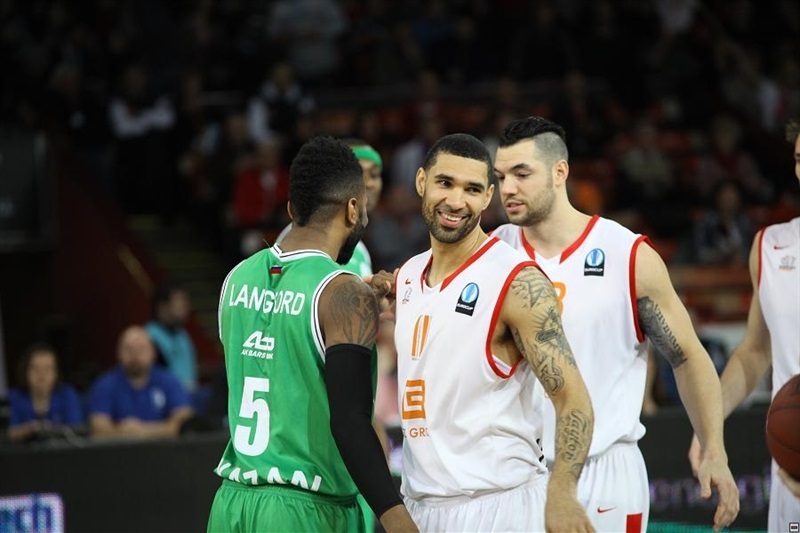 Langford stepped up with free throws and Jerrells sank a triple to keep Unics comfortably ahead. Another Langford triple essentially sealed the outcome at 74-82 with a minute remaining. Nymburk played hard till the buzzer and a late Vojtech Hruban triple made it a one-possession game, but time was on Unics’s side and Jerrells iced the game from the line. 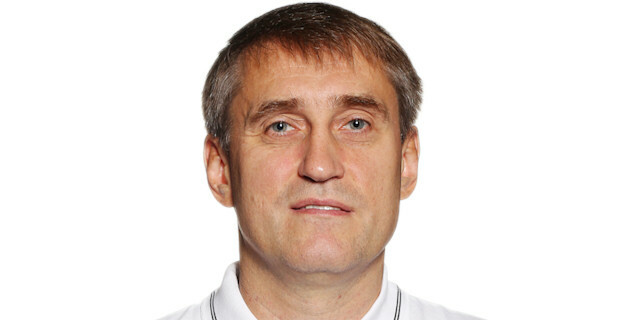 "Generally it wasn’t such a bad game, but we had our ups and downs and playing such a team like Unics Kazan, we have to be consistent. You have to play much better defense. Our problem was individual defense. They beat us too easy in one-on-one situations. Or they got advantages out of these. We had to help, and rotate and because of that they got good opportunities to shoot. Also in the first half we had 10 turnovers, which is too much. We tied the game in the second quarter at the end of the half, it was 31-31, and we had two bad offenses and no defense. We were not organized. We took bad shots. We were just playing individually. I got the feeling we were fighting, but our energy was low. " "For us and for them it was a deciding game. I am happy for my guys. They controlled the game. The only exception was the fourth quarter, when we received 30 points, but generally we controlled the game offensively and defensively and I think we deserved to win. Nymburk used a lot of different zones, matchup zones, man-to-man, press; you have to be ready for everything. The guys did well. It was a big step for us to go to the next round. We played today as a team. Our bench was active. We showed character. Nymburk has great players. We focused on Simmons and Washington and Vojtech and the national team players like Welsch and Barton. They are all great shooters. It was not an easy game for us. "